Was a fun family project! I bought both the girls a set, and taught them how to use a spray can in the backyard. They finished theirs pretty quickly, but I got nervous about “wrecking” mine and kept procrastinating. The long weekend just been I finally had a crack. The paint marker was a little crude, and it probably would have been less human-centric to have the urns in size order… guts, brains, heart then bladder… but it was satisfying to complete. Do I need to explain it? 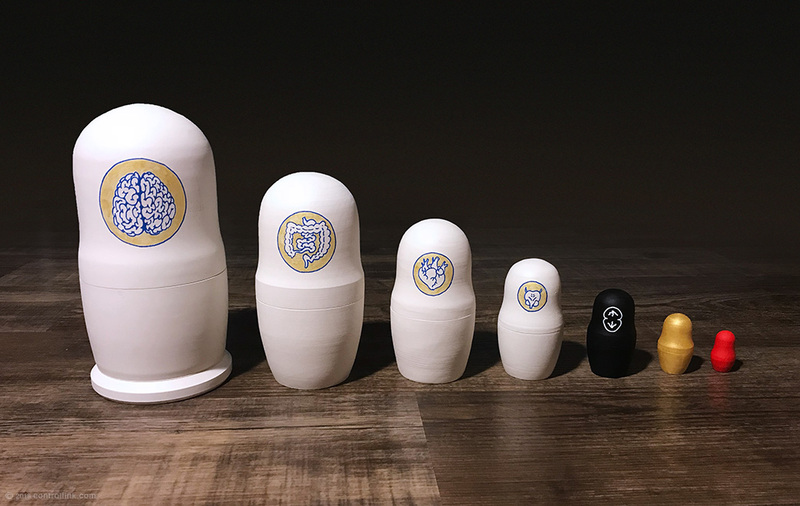 Egyptian canopic jars × Russian matryoshka dolls + cytotoxicity.